Huskies are an active breed. So they require a higher level of calories to support this kind of a lifestyle. They may not be as big as a Great Dane or Mastiff, but they do need to consume foods with high energy to keep them going throughout the day. This means you should know what is the best food for your Huskies. We all know that Huskies are working dogs, they always have been. It’s integrated into their genes to travel long distances even on small quantities of food. Finding the best catch for these free-spirited Russians is a difficult task to take care of. Huskies depend upon regular intensive exercise to release their energy. Their metabolism is very efficient with the kind of food they eat. This may be because they eat less food than dogs of a similar breed and size. But because they tend to eat a lot less than most dogs, that doesn't mean they need fewer calories per day. So don’t mistake this as feeding them anything you want. Since they’re not like any other breed, their eating habits are also unique. For a Huskey or a Siberian Husky, you need something that packs high calories in small amounts. Your Huskies need their daily calorie intake to release energy and sustain their lifestyle. And because of their unique appetite, they don't eat what other dogs do. So let’s find out the best food brands for Huskies below. I’ve got nine top recommendations for your beautiful Sib. Breed, size, and nutritional requirements; the three important factors when it comes to dog food. I’ve kept them all in mind while selecting the best Husky food brands. To find the best food for your Siberian Husky, I looked at many popular foods as well as local, holistic dog foods. Some catered to a variety of similar dog breeds, while some were for only Huskies. In this process, I found out important nutritional information about feeding a Husky. That I will discuss in a different section of this guide. And I also found a few behavioral factors of a Husky when it comes to their feeding appetite. Did you know Huskies will consume much less if they're inactive or bored? Also, did you also know that Huskies have a unique appetite? This means that if they get tired of a particular kind of food, they will never touch that food ever again. Improves the quality of the coat. The smoked salmon tastes delicious. It contains good fiber for regulating proper bowel movements and appetite. Improves vitality and coat condition. It covers all essential proteins, fat, and complex carbohydrates intake. It has hypoallergenic ingredients for sensitive dogs. Now you know what you're up against, don't you? Huskies are free-spirited in many ways, which includes their feeding appetite. So here are nine different options that you, as a responsible pet owner, might want to know about. To help your dog thrive on good food, these top dog food brands will keep your dog happy and healthy. 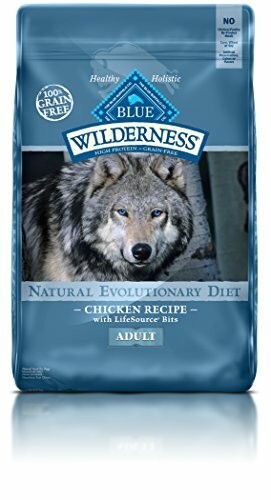 Blue Wilderness is considered to be one the best Husky food brands. 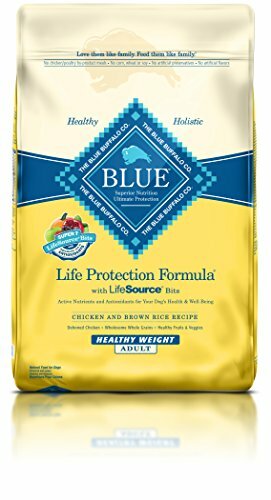 And the Wilderness Blue Buffalo High Protein Dry Adult Dog Food is proof of that. The recipe contains a high level of protein from meat sources. These include Flaxseed, deboned chicken which also consists of Omega-3. And this particular element is responsible for keeping the eyes and coat healthy. The food has a low-fat content, which makes it suitable for overweight or less active Huskies. You will be glad to know that it also comes with a wide variety of veggies and fruits. Blueberries, sweet potatoes, and carrots are some of them. These go a long way in supporting eye health. The only part that’s slightly disappointing is the low-calorie content. This means more food consumption. The rich protein content boosts energy levels to a great extent. Not suitable for Huskies who eat less. 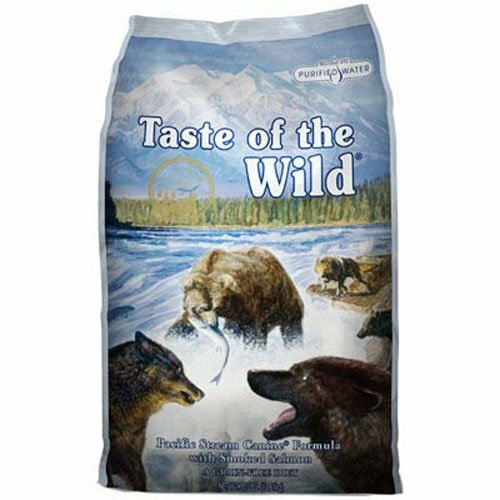 The Taste of the Wild Canine Formula is a much healthier alternative for dry foods. It's a digestible formula with natural ingredients such as vegetables and fruits. Another healthy ingredient is real smoked salmon and sweet potatoes. The best thing about feeding salmon fats to a Siberian Husky is that they help in making the coat softer and shinier. And that is what you should expect with the Taste of the Wild Canine Formula. You’ll notice a drastic improvement in your dog’s coat condition. Sweet potatoes are responsible for providing digestible energy. That’s the reason why the Taste of the Wild Canine Formula is the food for Husky with a sensitive stomach. Focusing on better taste, this canine formula offers immune-boosting properties. All the natural ingredients are perfect for Huskies with stomach problems. This includes gas and irregular bowel movement issues. What makes this the best food for Siberian Husky is the fact that it's edible for both pups and adults. It breaks down certain animal protein which is essential for proper activity. In the same way, it's ideal for dogs with lots allergies or other skin sensitivities. The level of antioxidants is also equally useful for encouraging a healthier lifestyle. Everything about the food is perfect except for one tiny flaw. The only problem with this dog food is that it contains extra-large kibbles. This may be hard for some Huskies because dog food is more digestible when served in smaller chunks. ​The smoked salmon tastes delicious. The large kibbles are too large and difficult to chew. The term human grade says it all, doesn’t it? The recipe of the Honest Kitchen Human Grade Dehydrated Grain Free Dog Food contains turkey protein. Along with that, you also get vegetables and fruits. Let’s talk more about that. Flaxseed has Omega-3 content, which is great for the coat and thyroid. Sweet potatoes are perfect for promoting eye health. And the potassium iodide element is another excellent source for supporting the thyroid. Moving on to fats, there’s not much to say here. As the product doesn’t have enough of that. And it’s this low-fat volume that makes the food unfit for Huskies with an incredibly active lifestyle. Perfect for regular, healthy bowel movements. ​It makes the eyes sparkle and the coat shiny. It doesn’t cause any allergic symptoms. Fat content is not high enough. Zero additional ingredients to support joint health. The best part about the Gentle Giants Natural Dog Food is that it’s suitable for all types of breeds of any age. The brand manufactures dog food with complete nutrition that covers all essential requirements of growth and development. You will be relieved to know that this food contains zero Genetically Modified Organisms (GMO). The texture of the food is dry, not greasy. And I all know how beneficial such a quality is for a dog’s stomach and digestive system. But as is the case with every product, this one too has a negligible drawback. And it comes in the form of an awful smell. So both you and your dog might have to get used to that. Ideal for boosting energy and mood. ​It doesn’t upset the tummy even in the initial stage. It has an unpleasant odor. High grain content, hence not advisable for dogs with arthritis. The company, Nutro has developed a reputation for manufacturing high-quality dog food. And the NUTRO MAX Dry Dog Food is no exception. It contains protein in the form of chicken meal. The best part about the food is that you won’t find any artificial ingredients or by-products in it. This brings us to the next part; skin allergies or irritation. So the absence of soy, corn, and wheat helps in preventing such issues. On top of that, you get an abundant vitamin, mineral, vegetable, and fruit content. To make things even better, the kibbles have a crunchy shape. This particular quality helps in reducing teeth tartar. But there is a downside to these kibbles. They may be crunchy, but that doesn’t overshadow how large they are. The natural fibre aids in digestion. The kibbles are not small enough to chew and swallow easily. The Orijen Adult Dog Food is created keeping in mind an adult Siberian Huskies’ dietary needs. It contains a high quantity of meat ingredients. These include fish, eggs, turkey, and chicken. Plus it's free of fillers, frozen meat ingredients, and preservatives. So you know the people behind this brand know what Huskies need for an active lifestyle. There isn't a better way your dog can make the most of his meal, is there? The calorie content is also another useful characteristic. It is high enough for healthy development and growth along with more calorie-burning. 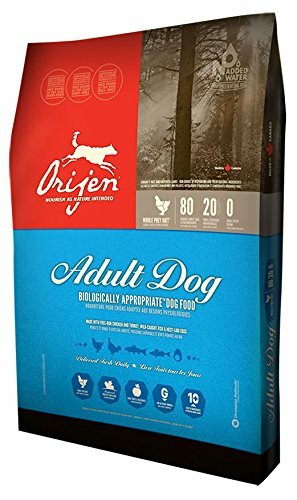 The Orijen Adult Dog Food contains a high level of meat nutrients. It's for Huskies from a list of allergies, stomach ulcers, and infections. Nothing is better than its natural nutrient-dense ingredients for complete immune care. This dog food has a strict meat-based diet. And foods high in meat are more digestible and appealing to Huskies, I found. So minimal amounts are essential to avoid overeating and weight gain. Like I've said before, calorie and nutrient-dense meals in small amounts are ideal. And that's just what this dog food for Siberian husky has to offer. You will find no preservatives and frozen ingredients. The latter means that the food’s original nutritional value remains intact. And on top of that, your dog can benefit the most from the addition of healthy veggies and fruits. What’s not to like about the food is the foul fish smell accompanied by it. This can cause bad breath, and that’s difficult to get rid of, isn’t it? ​It covers all essential proteins, fat, and complex carbohydrates intake. The food has a terrible fish odor. High levels of meat-based proteins cause weight gain. Lack of fillers in the food prevents the dog from over-eating. 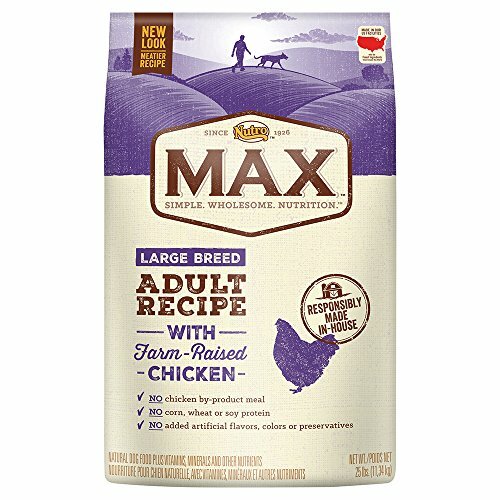 This is considered to be the best food for Huskies due to several factors. For one, the Wellness CORE Natural Grain Free Dry Dog Food contains only natural ingredients. 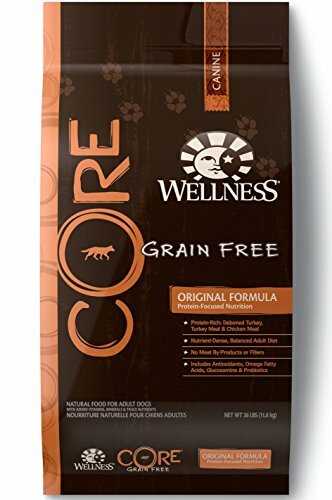 The Wellness CORE is a vet-recommended brand for its all-natural food. It is the absolute solution to all your dog's digestive, immunity, and coat problems. Have you thought about the benefits of a protein-packed diet with meat and veggies? A boost in complete cellular health is one of its main attractions if you ask us. On top of that, turkey and whole chicken are the primary protein sources. This means more energy and better growth for your beloved Husky. To improve the condition of the coat, the food offers tons of Omega-3 fatty acids, minerals, vitamins, antioxidants, veggies, and fruits. These elements are not only responsible for a shinier coat, but they also improve the overall health of the body. The best part that I love this product is the addition of prebiotics. What this does is promote healthy bacteria growth in the system. This dog food offers long-term stability for active Huskies. It encourages a balanced lifestyle with exercise, proper sleep, and a nutrient-dense diet. The high-quality ingredients hold value over all else because it contains many benefits. That said, it offers a less fat content, omega fatty acids, and meat-derived protein. All these are good for healthy bones, muscles, and brain development. What more to look forward to? As with any other type of dog food, this one too has its minor disadvantage. You will be disappointed to know that the food tends to cause allergic reactions in some dogs. Despite being grain free, this might happen. So it’s better to keep it away from Huskies who already have such problems. The quality of the food kibbles can be a bit disappointing. That said, it has a bland taste. And this might be a problem for picky Huskies. Boosts energy levels, making the dog more playful. ​Fat content is low to keep weight in check. The low-fat content makes it perfect for weight loss. It enhances the immune system, producing more stable energy levels in the body. It gives rise to allergy symptoms. 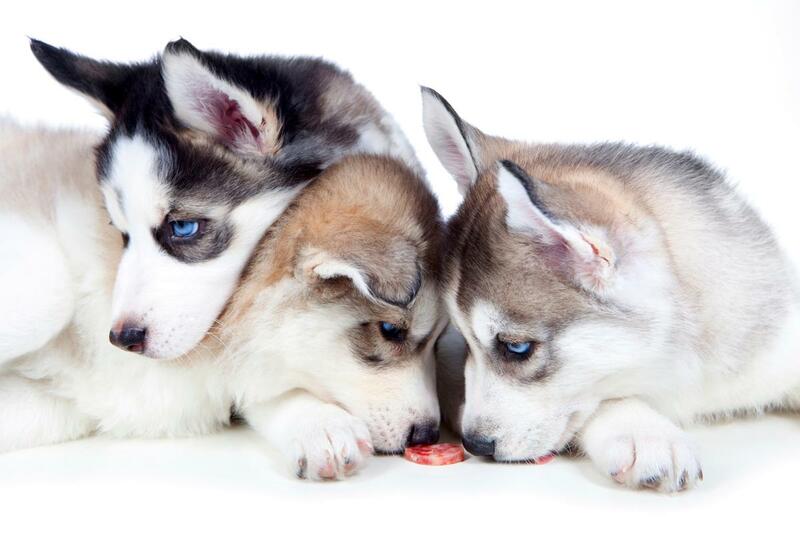 As we already know, Huskies can be picky eaters. But you might be able to get them straight with the Blue Buffalo Life Protection Dry Adult Dog Food. It's got enough for your companion's daily antioxidant, vitamin, and protein intake. You'll see an instant follow-up for a good, shiny coat and a healthy digestive system. And if you have an overweight Husky who doesn't go out that much, it has low-calorie content. And that's not it; this dog food also contains amino acids. Amino acids are essential nutrients your Husky needs for energy production. One thing I found a bit problematic was its low-calorie ingredients. Huskies need high-calorie foods in small amounts. But with the Blue Buffalo, you'd have to serve large quantities to make up for the daily calorie intake. It contains healthy vitamins, amino acids, and carbohydrates for energy. ​It's suitable for overweight or inactive Siberian Huskies due to the low-calorie intake. Only suitable for Huskies with an enormous appetite. If you're a dog lover, you must have heard of Rachael Ray at least once in your life. Also, this food's proceeds will go to Rachael's Rescue Foundation for animals in need. So you're doing more than your fair share of feeding animals in your home and outside it. 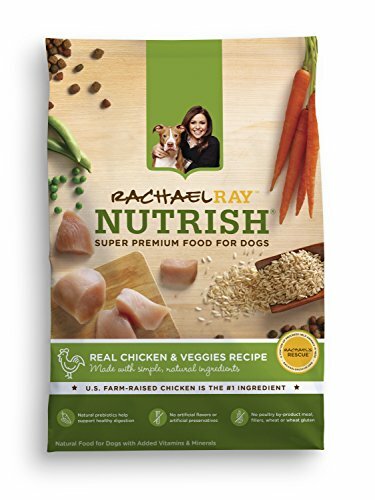 The Rachael Ray Nutrish Natural Dry Dog Food combines meaning into their food. With real ingredients and natural recipes, you'll find exceptional food quality. According to our research, it contains chicken, ground rice, corn, and soybean meal. Each provides generous health benefits for your Husky. The chicken meal contains up to 300% protein and more fiber content than any other I've come across. The ground rice ingredient provides enough calories for energy production. This is also useful for relieving troubling digestive problems. Aside from these, it contains carrots, peas, and brown rice. As with the Rachael Ray Natural Dry Dog Food, it does contain fillers. While most people prefer fewer filler ingredients for Huskies, this can be disappointing. The dietary protein and carbohydrate content supports muscle health. ​The natural carotenoids aid in immune health. It contains a high amount of filler ingredients. There are more plant-based ingredients than actual meat. It's not enough to know what to feed your Husky when you're new to nurturing a dog. Once you know the right dog food, knowing what to do next is critical. How else would you know how much and how often to feed your dog? Or what to do in case of an emergency or unexpected illness? Many scenarios come into play when you adopt a Siberian Husky. Because anything you do has either a positive or negative impact on your dog's health. That's why taking care of Siberian Huskies is a little harder than it looks. Huskies are energetic dogs, and this means that their dietary requirements are not the same as most breeds. So the task of finding the best food for them becomes even more challenging. But you’re in the right place for that. 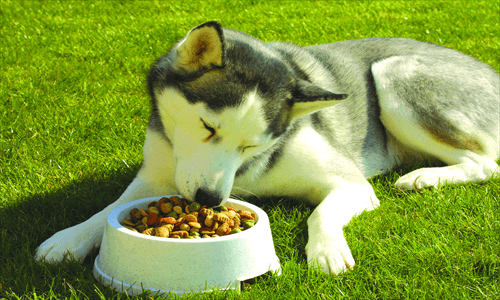 This is the ultimate Husky feeding guide and everything you need to know about them. The good news here is that Huskies are relatively easier to maintain, especially when it comes to food. And that’s because they don’t require a large intake of food. A small amount of high energy food is enough to support and enhance their active lifestyle and physical growth. So it’s important to get your hands on high-quality dog food for your beloved Siberian Husky. 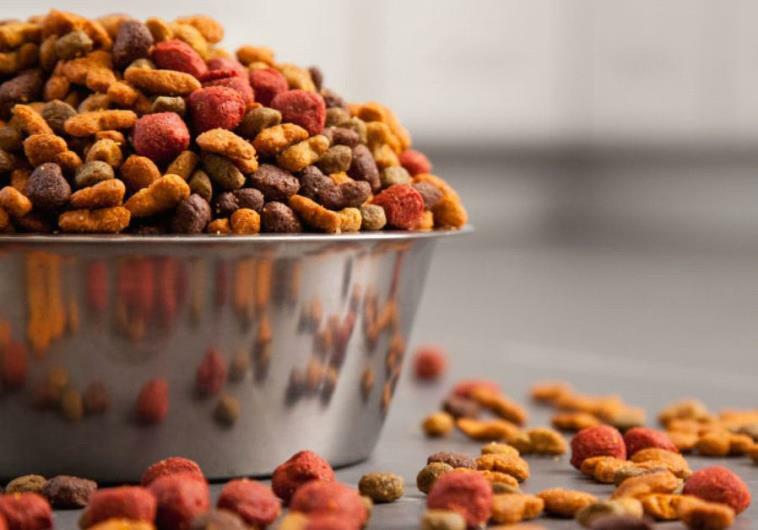 Below you’ll find all the necessary nutritional instructions you need to follow to ensure that your dog consumes the right kind of food. A husky will not eat if he or she already feels full or even inactive. But that’s not the case with most of the other breeds, right? Any other dog will literally jump at the opportunity of eating more food. But this is something you don’t need to worry about with Huskies. They have a habit of eating only after some heavy-duty exercise. A Husky has the tendency of overeating at such times. And that should be avoided because they have a knack of gaining weight easily. Once that happens, chances of your dog putting on excessive weight or developing diseases increase. Another important eating habit of Siberian Huskies that you should know about is their unshakable nature. Even the slightest thing can put them off of certain types of food. They may not like the texture and size of the dog food or get bored of consuming the same dog food every day. So Huskies can be extremely stubborn when it comes to eating. How often to Feed Siberian Huskies? They are considered to be grazers. So keeping a bowlful of food at their disposal throughout the entire day helps in keeping up with the calorie count. But you need to make sure that they don’t get bored of this food. So it’s best to divide the meals into two or three servings. This prevents the formation of fats in their body and gives them the opportunity to burn some of the consumed calories. Since Siberian Huskies don’t require large amounts of food, you should be cautious about the quantity you feed your dog. Because over-feeding him or her might cause unnecessary weight gain or diarrhea and upset stomach. How much to Feed a Husky? For an active Siberian Husky, the daily calorie intake should be at least 1400 calories. This differentiates based on other physical factors including digestive health and weight. It also defers for neutered dogs. 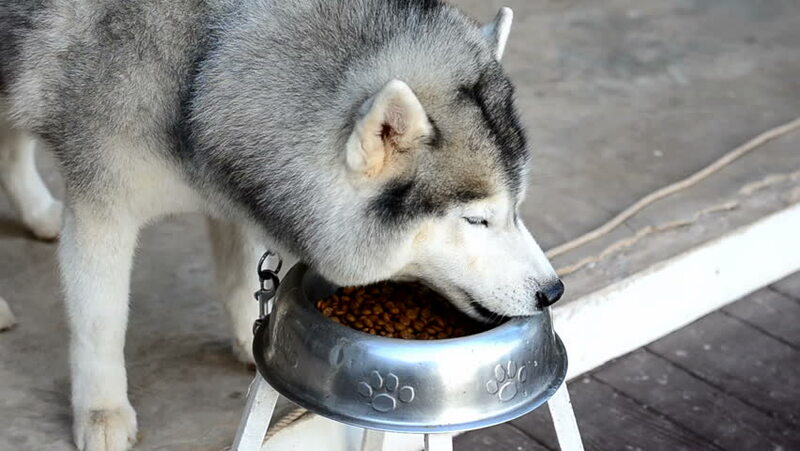 Unlike most breeds, Huskies stop eating when they're full. And this is a good thing because overeating and weight gain is a rare phenomenon with Huskies. But once gotten used to, Huskies develop healthy eating habits. This doesn't mean they're immune to weight gain and other diseases. Even though Huskies are energetic beasts, they are more likely to gain weight. Hence, they need nutrient-dense food with no added fillers or preservatives. What Ingredients to Look for and What to AVOID? The most important ingredients in the food for Huskies are fat and protein. These two elements should be of high quality. Meat proteins are considered to the most popular first ingredients when it comes to dog food. Meat meals and whole meats are excellent protein sources. The latter includes fish, beef, and whole chicken. These sources have water moisture, which if removed would place them lower on the list. Not many pet owners opt for meat meals over whole meats as they don’t contain moisture. But you should know that meat meals have a higher level of protein than whole meats. Now let’s move on to fats. Only a few fat-soluble vitamins are good for Siberian Huskies because not all fat is beneficial. This doesn’t include chicken fat and fish oil. The thing about fish oil is that it has fatty acids that help in keeping the coat and skin healthy. Huskies are not highly susceptible to skin allergies or problems caused by grains. So you can feed them dog food with carbs derived from grains. But this doesn’t mean buying grain free food is a wrong decision. Both are equally harmless. Likewise, foods such as sweet potatoes, oats, and rice are also safe to consume. At some point in your life you must have asked yourself this question, why is my husky not eating? ● They won't eat much when they're bored. ● They eat large amounts; sometimes they even overeat when very active. ● They get bored or sick of the food they eat on a daily basis. ● They do not eat at all when they feel full. ● If a particular kind of dog food would make them sick, even once, they won't eat it for some time. ● Huskies are healthier when given a variety of dog foods. Huskies don't live the "normal" dog life, as some say. They're very active, energetic, and fussy animals, in particular for a good meal. I'm here to make matters easier for you. Whether you have other similar dog breeds, taking care of a Husky requires time and effort. They need very high-energy foods, nutrient-dense meals, and all in variations of it. And because you can't feed them only one type of dog food, I have researched for hours to find you nine best choices. The best of them of all is the Taste of the Wild Canine Formula. It offers an incredible combination of fish, sweet potatoes, and lots of veggies. Not to forget, it contains antioxidants and fiber for proper digestive health. So it's certain that your Husky wants to live an active lifestyle. The only way to do that is with a healthy feeding schedule coupled with lots of exercises. If carried out correctly, the process of feeding and looking after a Husky can be rewarding. It helps in giving your precious dog a long, healthy life. Siberian Huskies may be slightly finicky with food, but it’s important to keep your calm and be patient with them. Trying something new and failing at it is a part of the process. 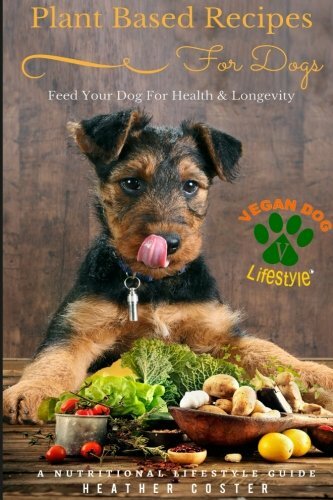 It only pushes you towards finding the correct food for your dog. And this brings us to the end where I list the top contender, which is the Taste of the Wild Canine Formula. This best dog food for Huskies contains roasted meats topped with veggies and fruits. The formula is perfect for both puppies and adult dogs. It comes with sufficient natural antioxidants to provide strength and good health. Plus, the fish protein and sweet potato combination does an excellent job at improving the digestive energy of the Husky. After all, every Siberian Husky deserves a Taste of the Wild!